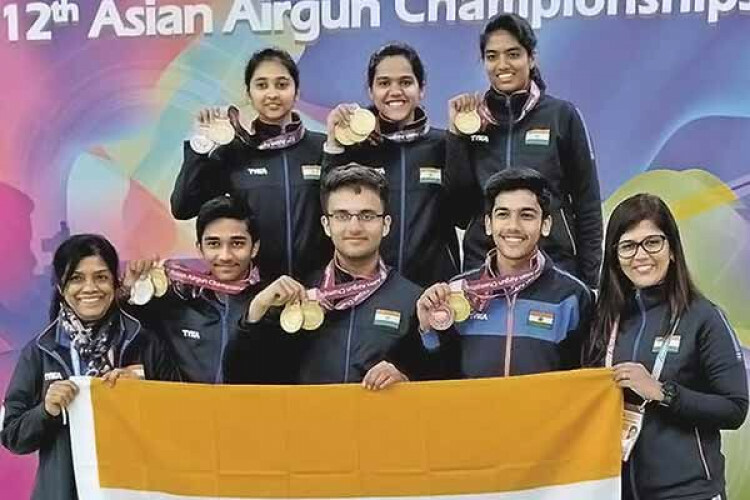 Indian shooters continued their dominance claiming half a dozen gold medals on the final day of the Asian Airgun Championships to sign off with a total of 25 medals in Taoyuan, Taipei. India finished with 16 gold, five silver, and four bronze. On the last day of the competition, Yash Vardhan and Shreya Agrawal bagged three gold medals each. Earlier Vardhan and Shreya combined to win the Mixed Team Rifle junior event.